This week's photo shows the Ballinacourty players and mentors who won the County Football League in 2003. 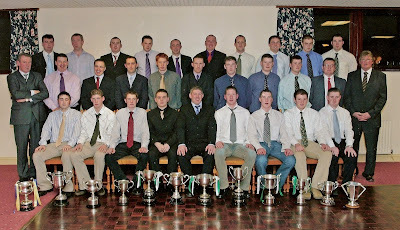 It was taken at the club social held in the Clonea Strand Hotel where the players were presented with their medals in what was a record-breaking year for the club on the playing fields of Waterford. Five County and seven Western titles were secured in an unforgettable season.